GiftTree set out to make ordering gift baskets different and more unique. 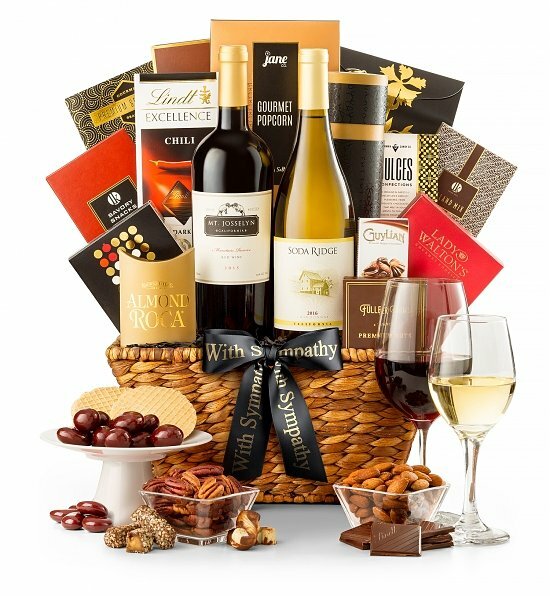 The variety and quality of products in their basket could never be described as “vanilla” – instead, they feature gourmet foods, fine wines and fun themed-baskets that can suit just about every occasion. With their same-day and next-day delivery, they are able to cater to those last minute shoppers as well. 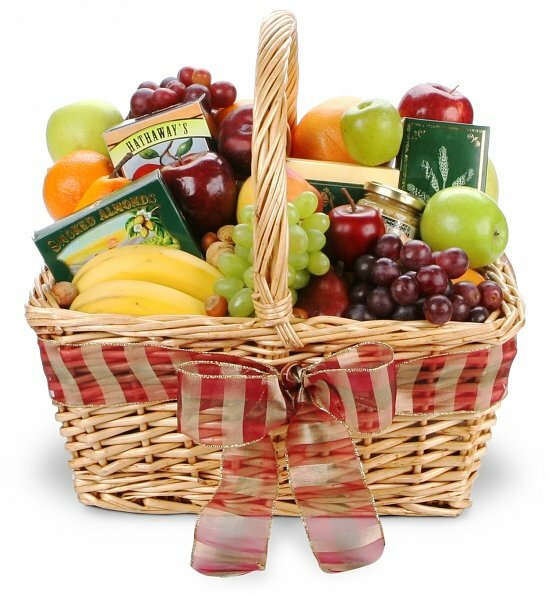 A gift basket vendor specializing in superior-quality, handcrafted gift baskets. Who Would GiftTree Most Appeal To? 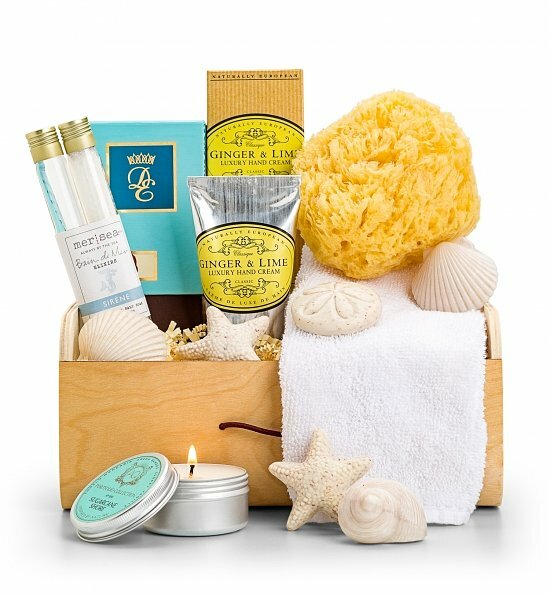 GiftTree’s unique approach to the classic gift basket is refreshing. They offer maximum variety, but also quality. Their products are all handpicked and they do not put anything in their baskets that they would not gift or use themselves. Just some of the types of baskets you will find include fruit baskets, flowers, gourmet foods, wines, cheeses, snacks, chocolates, and more. 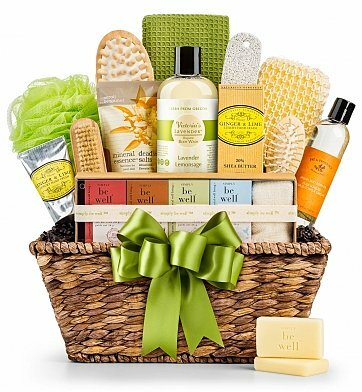 They also have non-edible basket options, such as the spa gift packages. Most of their baskets feature some sort of keepsake as well – and usually the basket is of high-quality so that you can use it for something else. Customization is rather limited with GiftTree, but they aren’t the first vendor to limit that. They do not offer a design-your-own-basket option and all baskets come premade and ready to buy. Some baskets do have add-on options, but this depends on the basket and not all are eligible to have additional items packed in. Unfortunately, they do not allow you to swap out gift basket items either, though there is a very small number of merchants that actually do. 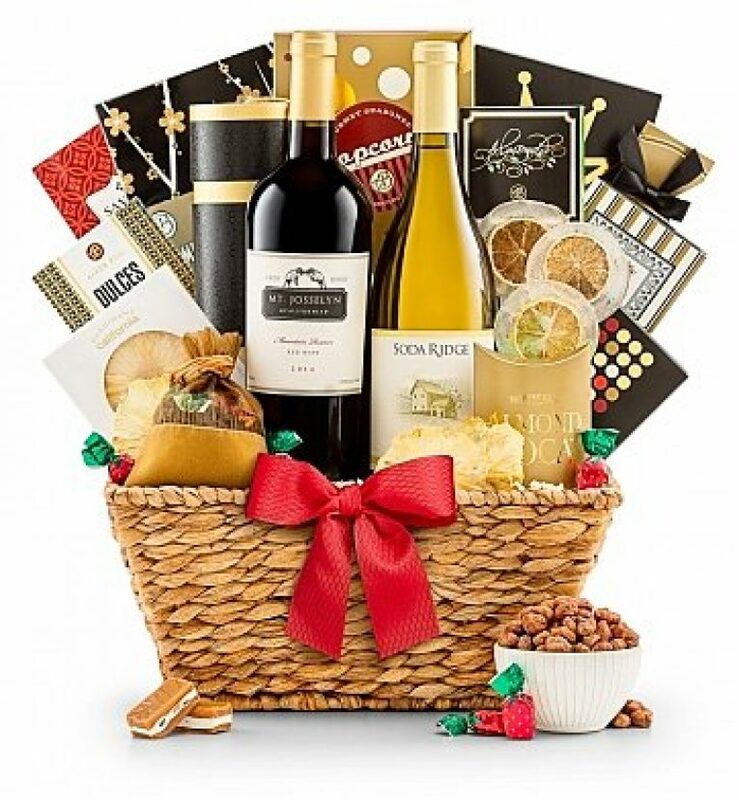 For gift baskets with wine, most of the time you can pick the type of wine you want (sometimes at an extra price) so that your recipient gets a bottle of wine they are likely to enjoy. The themes and sentiments are a little different with GiftTree – which could be good or bad depending on the type of shopper you are. 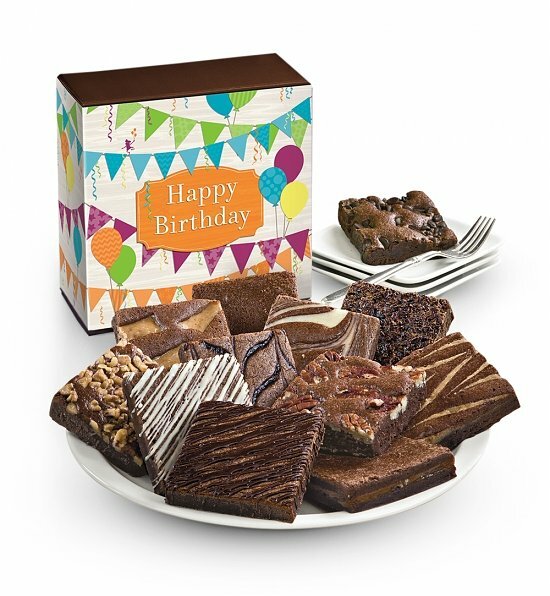 Most of their “sentiment” baskets are not screaming “Happy Birthday” or “Welcome to Your New House” – so for those that are specifically looking for that type of basket, they may be disappointed. Some of their sentiment baskets are more appropriately themed, like their New Arrival baskets or Get Well Gifts. Others you need to be more creative with – such as buying a brunch-themed gift basket for a housewarming. They offer holiday-inspired baskets and seasonal basket options. Some of their baskets that are gluten-free or organic are not labeled specifically as such, but if you read the labels or descriptions you will find that they are gluten-free, Kosher, etc. This could make it hard for people shopping for a certain recipient type to narrow down their choices – unless they take the time to read the descriptions. For corporate sales, GiftTree has an impressive selection. Their baskets are refined, elegant and ideal for giving to clients, customers and even employees that have earned your reward. GiftTree does have a team just for corporate gifts which are available via their toll-free number as well as email. They have a large selection of baskets and make it easy for corporate buyers to purchase in bulk – along with a bulk discount to make it as affordable as possible. Discounts are not disclosed, but according to customer service these discounts vary depending on the product and exact number ordered. Business owners can also customize their gift to match their branding and personalize the message so that their recipient knows just how much they appreciate them. Logos can be added to the basket or box and even on wine labels. For corporate buyers that cannot decide on a basket, they can also purchase gift cards for their employees or recipients and allow them to pick out their own baskets and gifts. Price-wise, GiftTree is on par with other vendors in the category, but their quality of product is much better. Even with smaller baskets and a slightly higher price point, the quality of the product more than makes up for the smaller space. That being said, they still have baskets under the $50 mark that are plentiful and you can search based on your price point so that you stay on budget. They do not have the same sales or specials as other vendors though – which may be a drawback for those hoping to catch last-minute holiday deals. 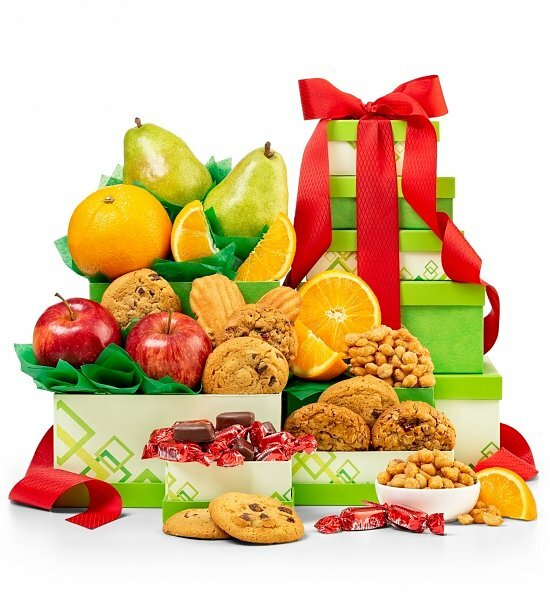 Gift baskets from GiftTree feature flat-rate shipping of $11.95 and then extra charges for two-day express, overnight and Saturday delivery. There is a limited selection available for same day delivery and as you look through the inventory, you can see which baskets are eligible and at the soonest date (some will specify the next day). There is a service fee that should be noted. This service fee applies to flowers ($14.95 per arrangement) and fruit baskets ($17.95 per basket) – which is higher than other merchants – and some don’t even charge a service fee. They do offer international shipping on their international gift giving section and they will deliver to post office boxes as well as APO/FPO boxes. There are no free shipping options with GiftTree. Packaging with GiftTree is quite impressive. We really appreciate their extra time to make products look artistic – and how they don’t use cheap, flimsy baskets like some merchants. All of their gourmet items are individually wrapped to ensure freshness and a free card is included with all gift baskets to include a message, greeting, etc. Complimentary scissors are also included – a cute little perk – for easier opening of the basket. GiftTree offers a 100 percent satisfaction guarantee for all of their baskets. They guarantee that the basket will arrive in quality condition and that if you or the recipient is unsatisfied with the quality, they will make it right. Fresh products can be replaced or returned to GiftTree – including perishables – and non-perishable items must be returned within 14 days in their original packaging. If a delivery errors occurs on their end, they can refund the purchase, but if it is on the end of the shipper, there is little GiftTree can do. Customer service with GiftTree works on PST time and they are available via their toll-free number Monday through Friday 5am to 9pm and Saturday and Sunday from 6am to 5pm. They are also available via email, which may take a few hours to a few business days to respond. They have live chat during regular business hours. Their FAQs section is rather extensive and does tell you anything you need to know – including corporate policies. GiftTree does carry an A rating with the BBB and have been accredited since April 2010. 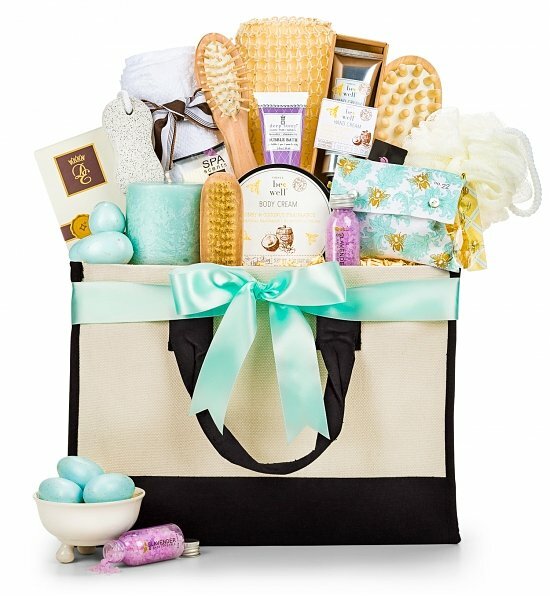 Under $50 – There are a surprising number of baskets available under $50 including their fresh fruit and cookies baskets, spa gifts and gourmet gift baskets. While the sizes of the products are smaller than more expensive baskets, these include baskets 13 inches and more in size. $50 to $100 – Most of the gourmet baskets – including those with wine – are in this price range. For example, some snacks will range from .82 ounces to over 4 ounces and wines are full-size bottles. $100 to $200 – This price range includes wines, champagnes and gourmet gift baskets. Snack sizes are bigger and range from 1.5 to over 8 ounces in size along with full-size bottles of champagnes and wines. $200 and up – There are no baskets over this price range except their rare collections – that are not always available. GiftTree is ideal for just about anyone shopping for a gift basket. Shopping last minute? They have you covered. Looking for handcrafted or gourmet items instead of generic? They can do that. They are an all-around pleasing merchant with more than enough to offer. GiftTree is relatively inexpensive compared to the variety and quality of products included in their baskets. Unlike other merchants with smaller-sized baskets at affordable prices, we are impressed at how large the baskets are for even those under $50. We like the flat-rate shipping and appreciate the fact they have corporate options as well for companies that need to send out something special. If we had to make a complaint, it would be their lack of customization. It would be nice to see GiftTree offer more design-your-own options or even allow buyers to swap out certain items for others. This sort of flexibility can make them ideal for more shoppers – in our opinion. High-quality gifts, next-day shipping available. 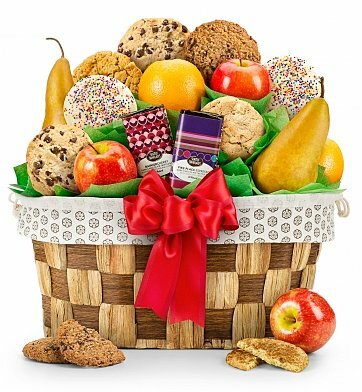 GiftTree is a gourmet online retailer specializing in high-quality gift baskets. With their same and next day shipping options, they are the perfect option for those looking for something delicious on the fly.